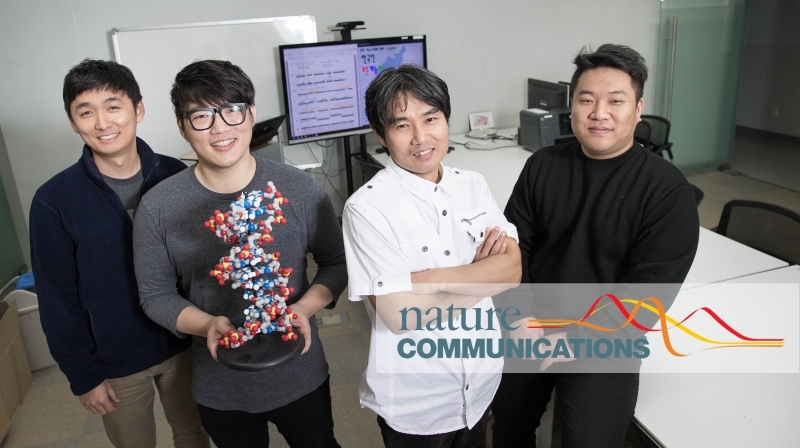 A group of scientists, based primarily at UNIST, has unveiled a Korean-specific reference genome for the first time in a study published in the open-access journal Nature Communications on November 24, 2016. According to the research team, led by Professor Jong Bahk of Life Sciences at UNIST, the Human Genome Project succeeded in mapping the genes of human beings in 2003. However, because the current standard human reference genome was mostly based on Caucasian and African ancestry, it lacked certain population-specific variants, which may be detected more efficiently using an ethnically relevant or personal reference. 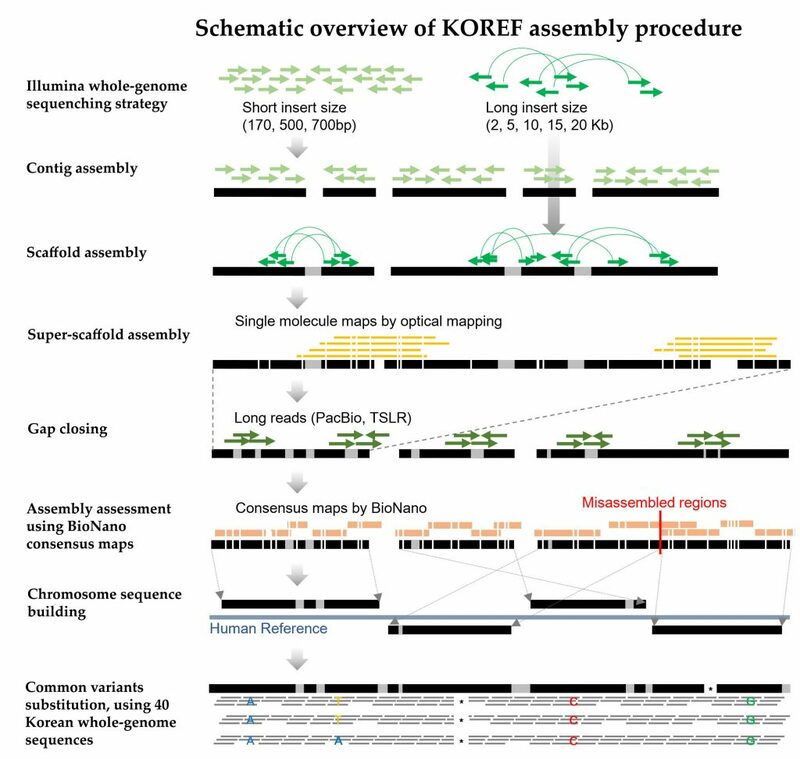 In the study, the research team reported a hybrid assembly of a Korean reference genome, dubbed KOREF, for constructing personal and ethnic references by combining sequencing and mapping methods. The research team expects that KOREF will allow for genetic analysis related to diseases and the development of new drugs. Hence, their ethnicity-specific reference genome, KOREF, may also be useful for detecting disease-relevant variants in East-Asians. The KOREF was developed by combining genome data of 26 men and 15 women across the country, with the institute planning to expand the number to at least 10,000 samples in order to boost accuracy and representativeness. The group noted that a randomly selected Korean would find some 4 million genetic variants differ compared to the standard human reference, which is reduced to 3 million when compared to KOREF. This is a map of Korean-specific reference genome, dubbed KOREF. Those green dots seen on the map represent the homes of people partook in the Genome Korea in Ulsan. KOREF is the national standard reference genome initiated by KOBIC (Korean Bioinformation Center) and the National Reference Standard Center of Korea. This project is also part of the Korean Genome Project (KGP) and the Personal Genome Project (PGP) with George Church at Harvard University. It aims to provide personal reference genomes for Korean and Asian populations to complement GRCh versions. Yun Sung Cho, Hyunho Kim, Hak-Min Kim, et al., “An ethnically relevant consensus Korean reference genome is a step towards personal reference genomes,” Nature Communications (2016).